Ultra Slim Line Design, won't add bulk to your waistline. 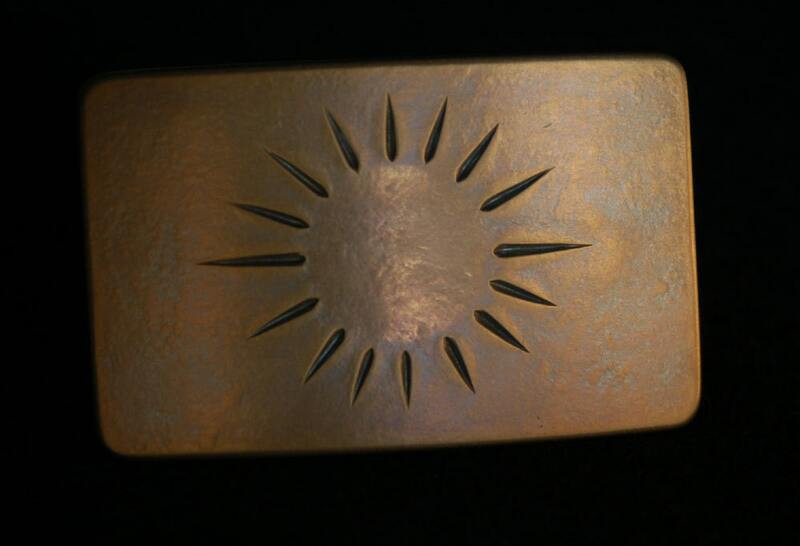 Each buckle is designed, hand forged & signed by Canadian Artist, Robert Aucoin. 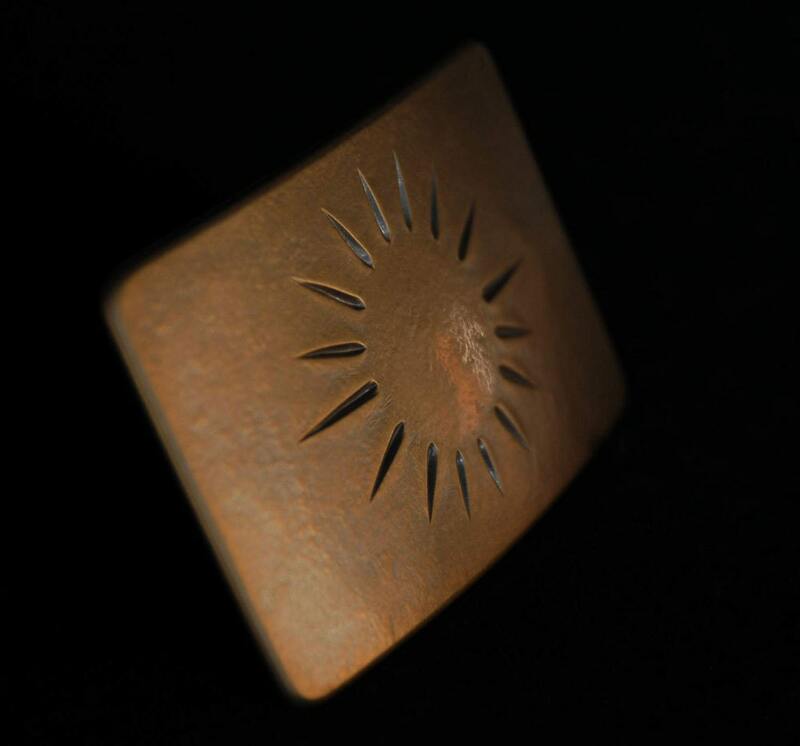 This all stainless steel, heat treated belt buckle is bronze/brass colour and has a "sunburst" hand chiselled into the centre of the buckle. Buckle matches the studs on your favorite Levi's. 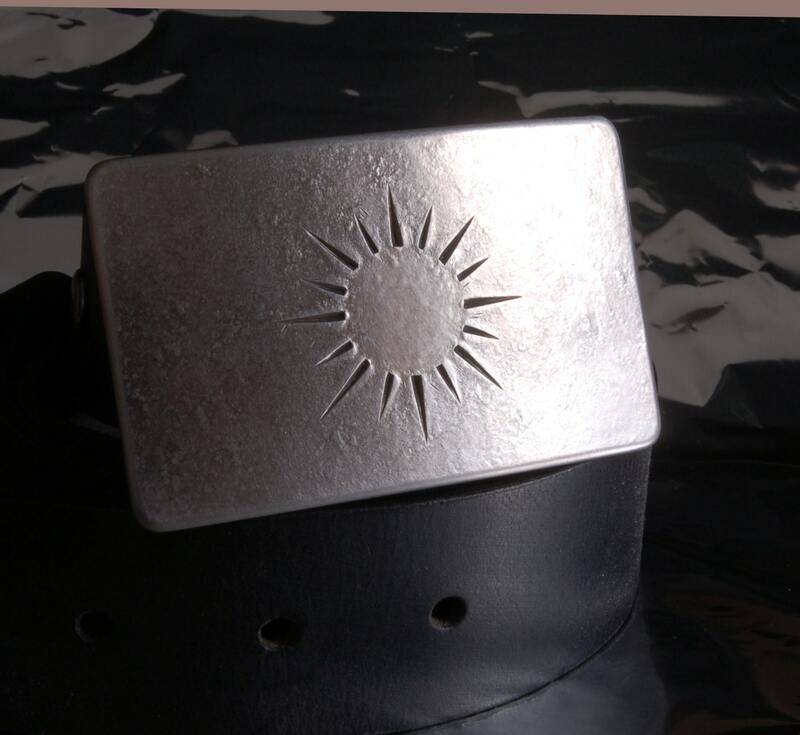 The buckle has a slight texture accomplished on the anvil. 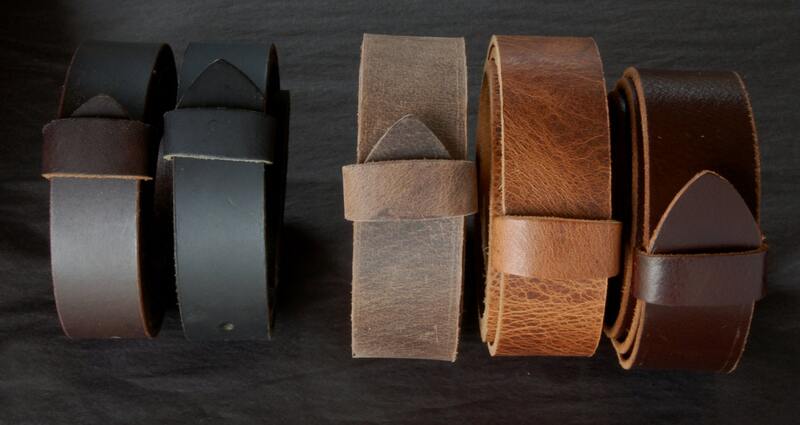 Buckle measures 1-1/2" x 2-1/2"and accepts a 1-1/4" leather belt(sold separately $35). Black velvet bag or beige burlap bag included with each belt buckle created by Artist, Robert Aucoin. Please choose your storage bag using the variation drop down menu at the time of purchase. Buckle also available to fit a 1-1/2" belt. Please email. Beautiful, subtle and the right size. If I ever need a buckle I'll be starting with this seller.